On the 18th (Thu), pause for some serene contemplation at St. John's Church. For where to stay, maps, reviews, and other tourist information, read Dalhousie trip builder tool . Surat to Dalhousie is an approximately 7-hour combination of flight and taxi. You can also drive; or do a combination of train and taxi. Cap off your sightseeing on the 19th (Fri) early enough to go by car to Manali. Kick off your visit on the 20th (Sat): take in the spiritual surroundings of Gadhan Thekchhokling Gompa Monastery, then contemplate the waterfront views at Beas River, then appreciate the views at Solang Valley, and finally take in the natural beauty of Vashisht Baths. Here are some ideas for day two: take in the spiritual surroundings of Himalaya Nyingmapa Buddhist Temple, take your sightseeing to a higher altitude at Keylong, then take in the spiritual surroundings of Manu Temple, then get your game on at Club House, and finally take in the spiritual surroundings of Hidimba Devi Temple. To see where to stay, ratings, photos, and other tourist information, read Manali vacation builder . Traveling by car from Dalhousie to Manali takes 7 hours. Alternatively, you can take a bus. Finish your sightseeing early on the 21st (Sun) to allow enough time to drive to Shimla. On the 22nd (Mon), take in the spiritual surroundings of Jakhu Temple, take in the awesome beauty at Kufri Fun World, then admire all the interesting features of Indian Institute of Advanced Study, and finally admire the landmark architecture of Viceregal Lodge. Here are some ideas for day two: don't miss a visit to The Mall, get your game on at SkyJumper Trampoline Park, explore and take pictures at Gaiety Heritage Cultural Complex, then pause for some serene contemplation at Christ Church, and finally make a trip to The Ridge. To see photos, traveler tips, where to stay, and more tourist information, you can read our Shimla trip planner. You can drive from Manali to Shimla in 4.5 hours. Another option is to take a bus. Cap off your sightseeing on the 23rd (Tue) early enough to travel to Vadodara. Start off your visit on the 24th (Wed): take in nature's colorful creations at Sayaji Baug, contemplate in the serene atmosphere at EME Temple, explore the historical opulence of Lukshmi Vilas Palace, then browse the different shops at Eva Mall, and finally make a trip to Alkapuri Haveli. 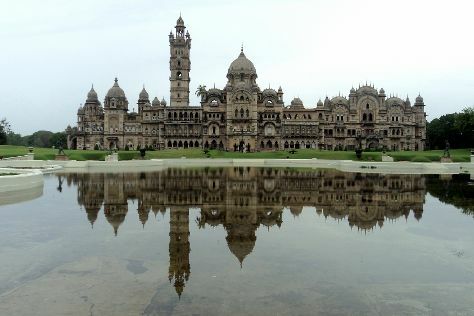 To find ratings, reviews, other places to visit, and other tourist information, read our Vadodara itinerary planning tool . You can do a combination of taxi and flight from Shimla to Vadodara in 6 hours. Alternatively, you can do a combination of taxi, flight, and bus; or drive. Cap off your sightseeing on the 24th (Wed) early enough to catch the train back home.